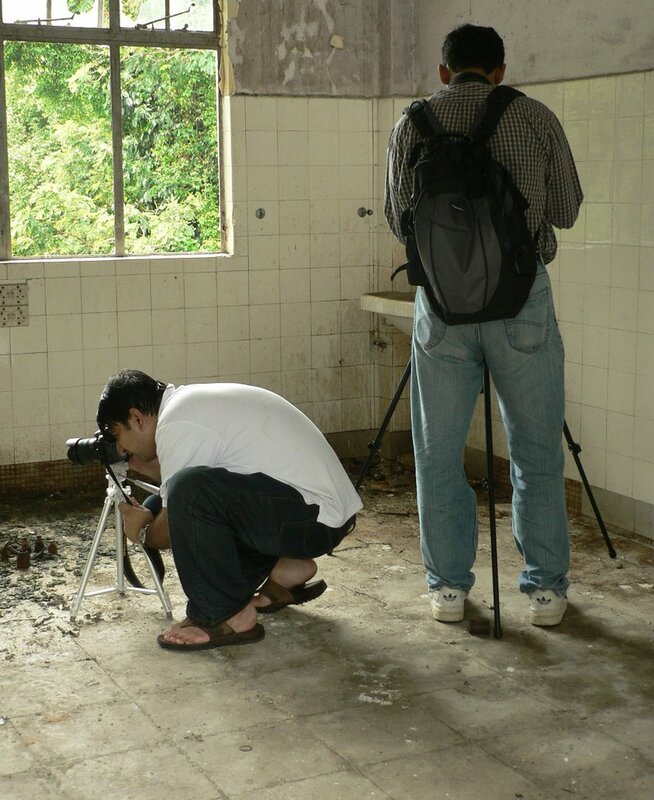 Thru the Lens [(o)]: Broken..
Another one from the creepy Old Changi Hospital !! 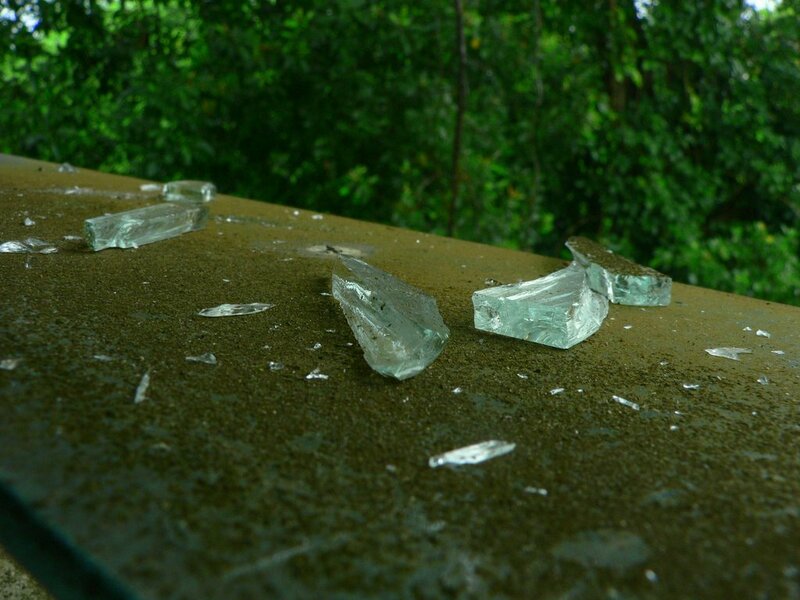 These are peices of broken glass windows ! And below are Amit (standing) and Ashish (sitting ) trying to take a perfect shots ;-) !!! Very interesting shot. Captured the moment very well. The glass shot is too wild!! Very cool. I love the shot of Amit and Ashish. Guess I'll check to see if they got their perfect shots. It's cool to see you guys in action. I love that top photo by the way. The depth of field is perfect. Thanks all for the comments ! Ashish ,i think Amit has still not seen the picture otherwise he wud have answered your question ;-) !!!! Thats a candid shot Vidya, you cought us unware. Anyway I was busy composing a perfect shot of one of many soiled wash basins.